The C40 Jot Singh Khalsa was introduced in 1997 and discontinued in 1999 due to production problems from the maker. Jot Singh Khalsa Makers mark on front where the Bug usually goes. Jot and Sal discuss some interesting history behind the knife and the possibility of re-introducing it into the lineup (as of 2012, this still has not happened). The exotic yet functional bladeware of this veteran knife artist is sought by discriminating knife collectors worldwide. In his recent collaborative effort with Spyderco, Jot Singh Khalsa creates a novel piece with superior comfort and ergonomic control. The geometrically shaped scales are formed of black Micarta and house full stainless steel liners with a textured Linerlock. The blade enjoys incomparably fluid action and lends itself well to general cutting tasks. 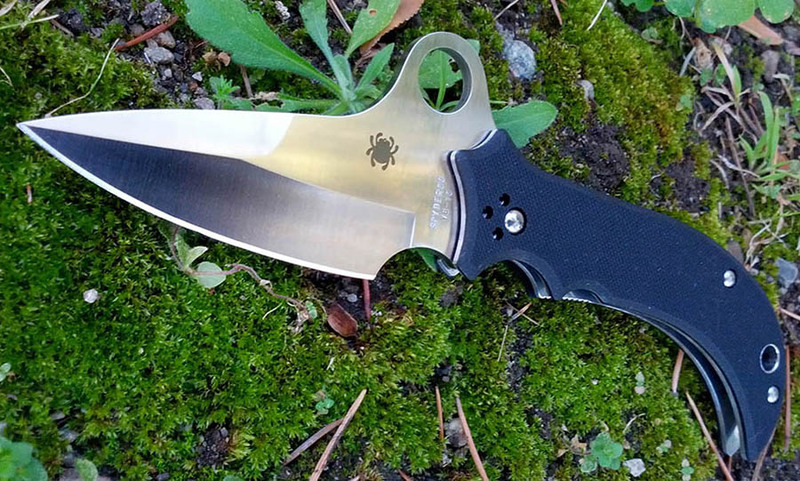 The Spyderco Trademark Round Hole in the blade is very pronounced, creating a "hump" along the spine that gives this tool the feel of a cross-guard. Despite its robust design, the Spyderco/Khalsa collaboration is light enough for everyday carry. Overall, this unique piece reflects Khalsa's dedication to exceptional beauty and Spyderco's commitment to unmatched functionality. The original first run numbered PE is believed to be the most collectible variant. This page was last modified on 19 July 2015, at 22:53.